Page from my baby book. This is a continuation of Amy Johnson Crow's 52 Ancestors in 52 Weeks 2015 Edition blog series. If you are not familiar with this project please check out the following link: Announcing 52 Ancestors in 52 Weeks: 2015 Edition. Week 12 (March 19-25) – Same. What ancestor is a lot like you? What ancestor do you have a lot in common? Same name? Same home town? I've decided to use this week's theme but I have to admit that what I have in common with this ancestor is pretty much just linked to a name. I wish I knew more about his life but perhaps by highlighting him here, some additional information may be unveiled as a result. That's the cool thing about blogging. You write. You send that writing out into the universe and then...Boom! When you least expect it, someone contacts you with wonderful information that you had no idea was out there. There's been a bit of that going on behind the scenes here lately. All I can say for now is that genealogy people are some of the kindest, most generous people out there. I will share some of what's been going on in an upcoming post. In the meantime, here's what I know about my maternal granduncle Linwood Hamilton Bryant. As you can see from the page from my baby book, my middle name "Lynn" was chosen to pay tribute to him. He was born January 8, 1915 in Morehead City, NC to my great grandparents, Frank Bryant and Ophelia Jones Bryant. He was the second oldest child out of seven. I've always been curious about one thing. Source Information Ancestry.com. North Carolina, Birth Indexes, 1800-2000 [database on-line]. Provo, UT, USA: Ancestry.com Operations Inc, 2005.Original data: Register of Deeds. North Carolina Birth Indexes. Raleigh, North Carolina: North Carolina State Archives. Microfilm. This is the North Carolina Birth Index entry for my granduncle Linwood. Do you see him listed? Well he's not listed by the name Linwood. His name was noted as "Gerald Hamilton Bryon." Was this a mistake in transcription? Or was he actually named Gerald at birth? If it was in fact actually Gerald, where did that name come from? I haven't come across it among my Bryant and Jones family lines. For now, this remains a mystery to me. Linwood Bryant never married. He grew up alongside his siblings at the Bryant home-place at 1400 Fisher St in Morehead City. He's listed in the 1920, 1930 and 1940 Federal Censuses. The 1940 Census shed a little light on what occupation he took up as an adult. It shows here that he was a "cook" at a "cafe." I bet he was a good cook. At least, that's what I'm guessing. 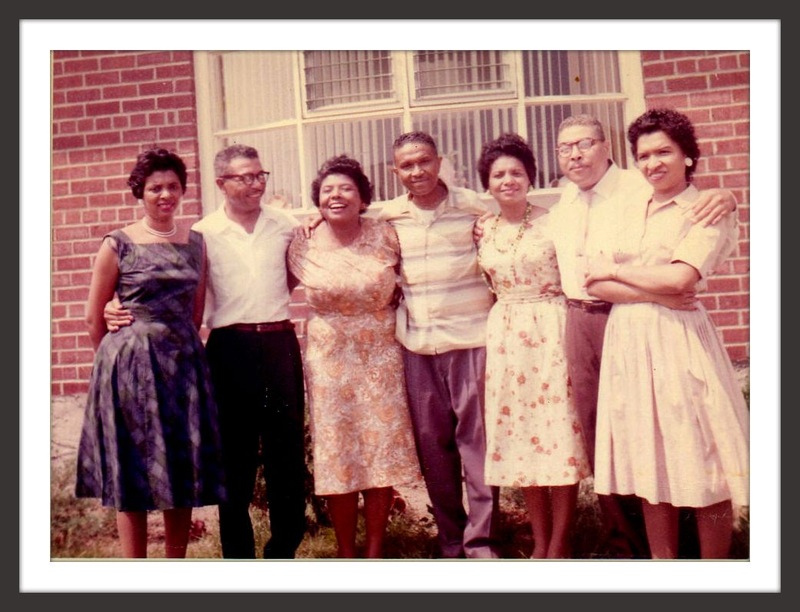 His sister and my aunt, Rosa Bryant Sanders, was a wonderful cook. Perhaps he was as well? Here a couple of pictures of my granduncle Linwood. Unfortunately I never met him. He died when I was a month shy of my 4th birthday. 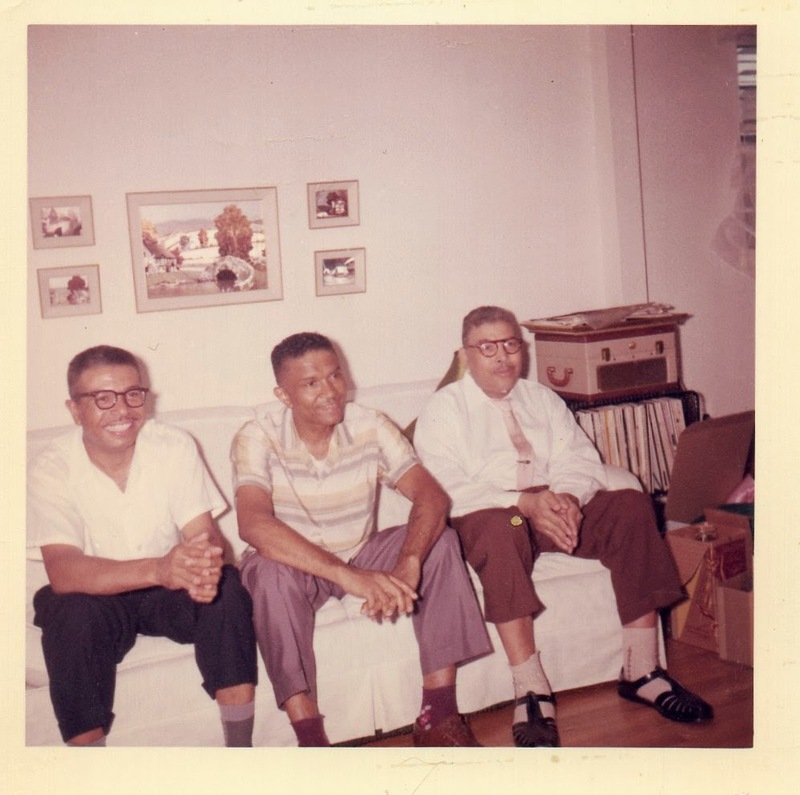 Bryant siblings: Ray, Linwood (center), and Frank Jr.
Bryant siblings. Linwood Bryant is in the center. Linwood Hamilton Bryant passed away on September 20, 1976. He was buried at Bayview Cemetery in Morehead City, NC.